Get an overview of all important aircraft data and control parts like engines, gear, flaps and spoilers, even auto pilot and radio control panel directly. Note: Please keep in mind that all functionality in this module is highly aircraft dependent. These functions should work fine with all default aircrafts of Prepar3D and FSX, but we cannot guarantee that they will all work with other third party aircrafts. Read more about this. This aircraft status page will get you an overview about all relevant aircraft parameters. Here you can see the indicated and true airspeed of the aircraft. Additionally the ground and mach speed is displayed as well. In the altitude section the current indicated altitude, the altitude above mean sea level (MSL) as well as the altitude above ground level (AGL) is displayed. Additionally you can see the barometric pressure and the local QNH. Here the current aircraft pitch and bank angle, the G-force, vertical speed, heading and elevator trim is displayed. You can also trim the elevator back to zero with just one click on the button. Use this section to see and change the current flaps, gear, spoiler and parking brake status. Here you get an overview of the whole electrical system of the aircraft. 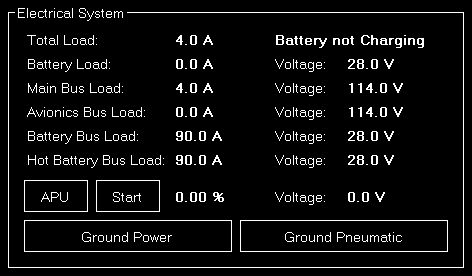 You see the current load and voltage of all electrical bus system, see if the battery is currently charging or not and can trigger the APU or external/ground power if needed. Note: Some options are only available if ProSim, AST or JeeHell is connected. 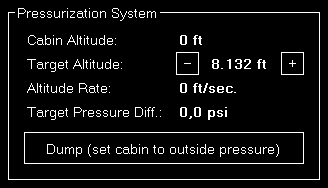 If the aircraft has a pressurization system available you can see its status here. You can also adjust the target cabin altitude and enable the dump switch. Here you can open and close again the exit doors of your aircraft. 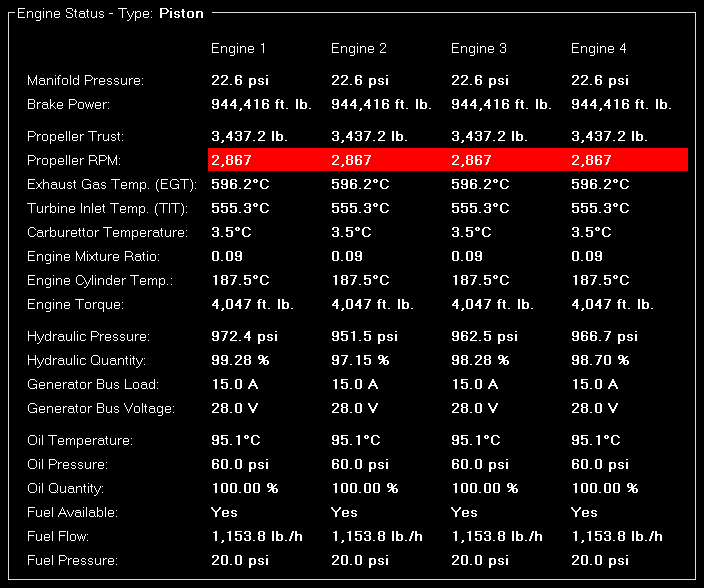 In the engines area all engine specific information and functions are available. This section will show you very detailed information about the current status of all aircraft engines. We will not explain the individual engine parameters in details here and they also will differ depending on the specific engine type (in the screenshot above it is a piston engine type for example). 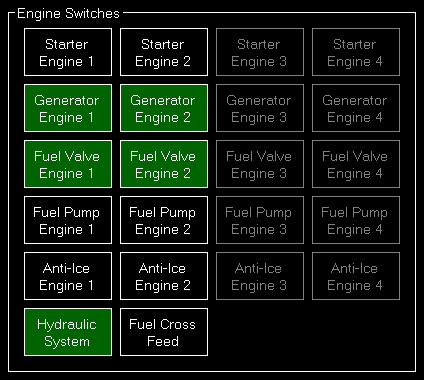 Not on that you can check the current status of the engines, you can also control them in this section. 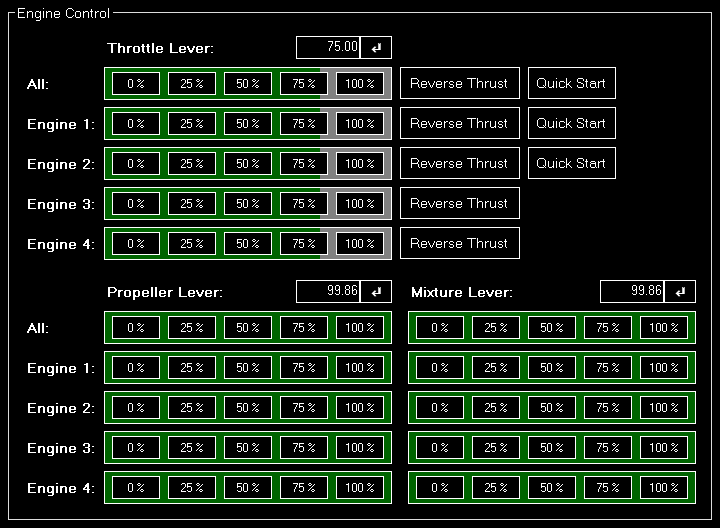 You can control either all aircraft engine levers at once or separately. There are quick access buttons for 0 %, 25 %, 75 % and 100 %, but you can also enter any specific percentage you want. Also reverse trust can be enabled for a specific or all engines by clicking on the button Reverse Trust if the engine supports that. Note: The engine quick start options are only available if ProSim is connected. You can find in this section all relevant engine switches. This section let you control the aircraft radio and autopilot panels. Here the complete radio and navigation panel can be controlled. You can set all frequencies including OBS (CRS) and XPDR (Transponder). Use this area to control the autopilot of the aircraft. You can toggle the different autopilot modes and also control airspeed, altitude, vertical speed as well as heading that the autopilot should hold. Note: Please keep in mind that only autopilot functions that are implemented in your current aircraft autopilot will work. FS-FlightControl just “sends” the command to the aircraft autopilot - the same as you would press the corresponding button in the cockpit. This section give you control over all aircraft lights and other switches. Use these buttons to control the aircraft lights. And use these buttons to control even more aircraft switches. 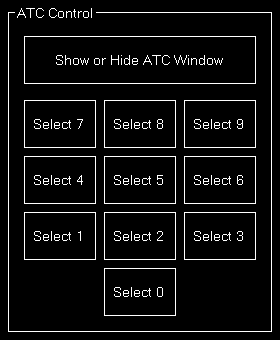 Here you can generate an aircraft that will trigger a TCAS alert. 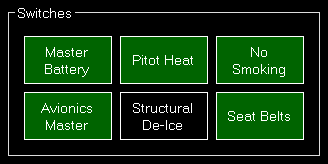 First choose the aircraft type that should be generated. By default this is the aircraft you are currently flying. Next you can define the location where the aircraft is being generated. You can either select one of the pre-defined location or enter a specific degree (in relation to the current aircraft heading). Now enter the distance to the generated aircraft and the true airspeed it will be flying towards you. You can also define a specific altitude (by default exactly the altitude your aircraft is currently at) and a vertical speed. Finally trigger the aircraft generation with the button Generate TCAS Aircraft and remove all previously generated aircraft with the button Remove all TCAS Aircraft again. Use these buttons to show or hide the ATC window and choose from the shown menu options. Note: If X-Plane is used you can only show or hide the ATC window here.